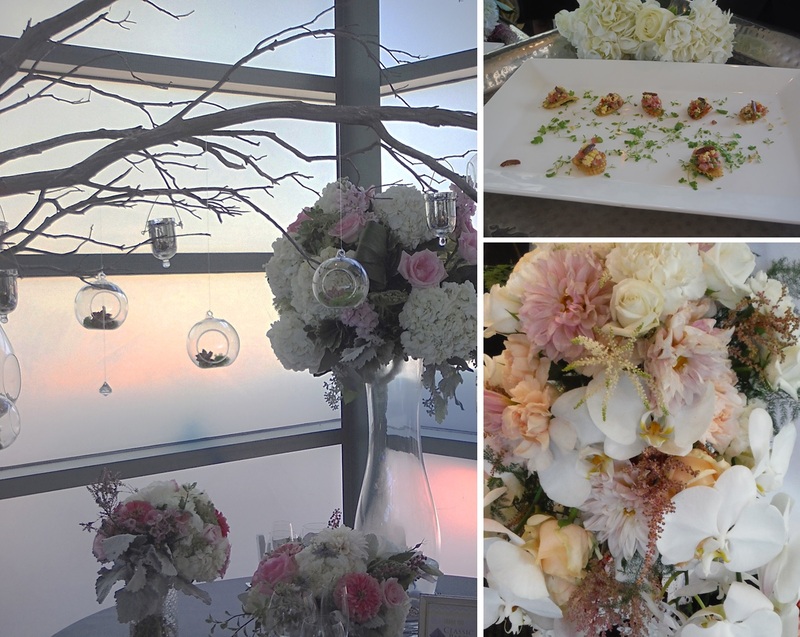 From Park to Palace, there was a significant difference in wedding themes displayed at the Hyatt Rengency La Jolla Bridal Show this past weekend. For the more glamorous bride, there were options that were dripping with diamonds or dripping with enchantment. 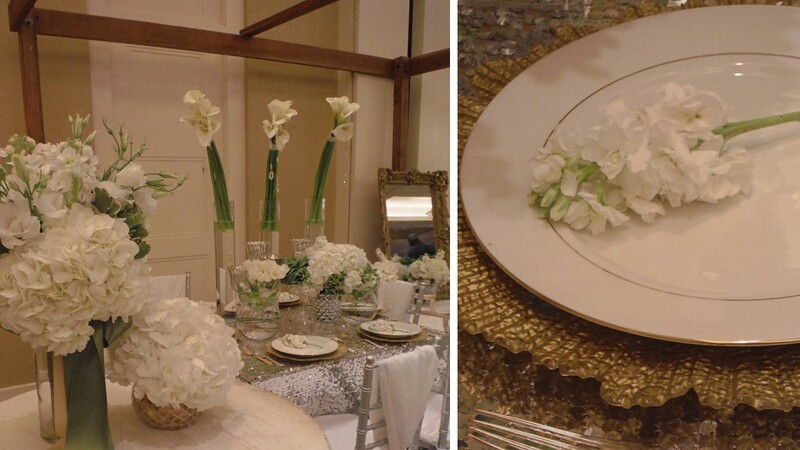 They brought on the glitz and glam with sequin tablecloths and hanging crystals in this wedding vignette. 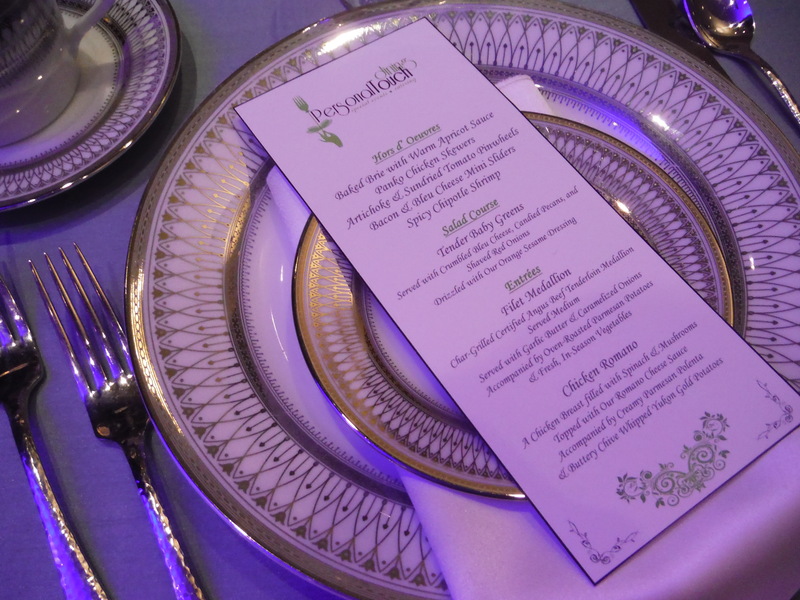 A touch of vintage class was represented through the French inspired furniture and elegant place settings. 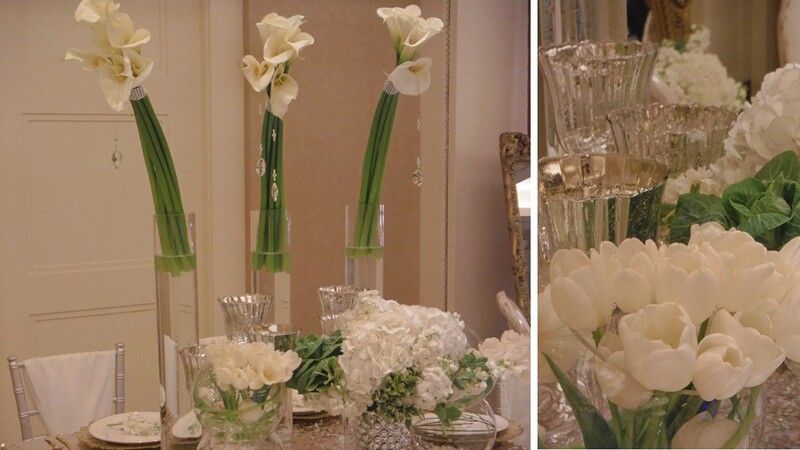 I love how all the floral arrangements went from White & Modern to soft and feminine throughout. For the soft romantic, these gorgeous pastel hues glow in the candlelight. This just-picked look from my English garden look goes hand in hand with an elegant place setting and extreme mood lighting. If you’d like to make your guests feel like they have entered an enchanted forest, this beautiful table arrangement with orchids to boot would make you a believer! 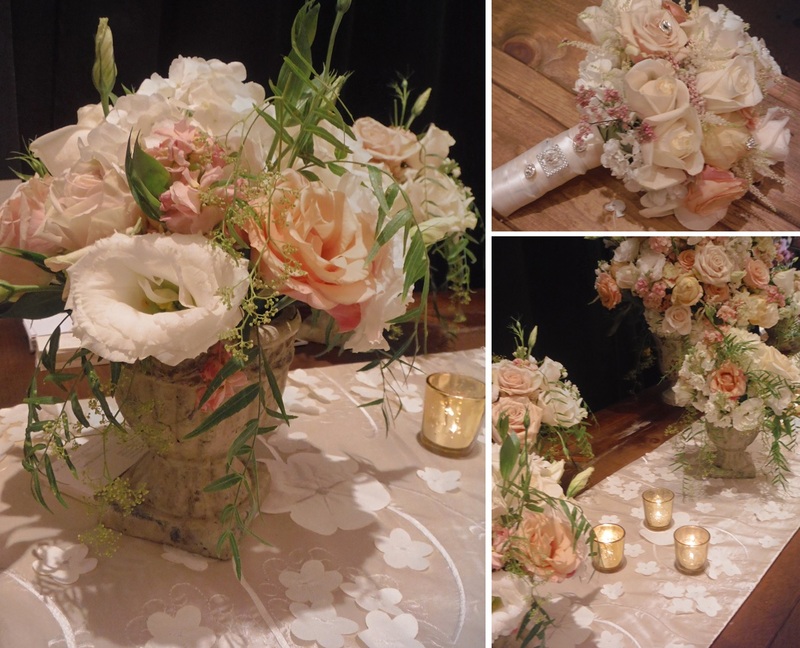 This romantic and whimsical combination is the best of both worlds, will someone please pass the anise poke crudités?